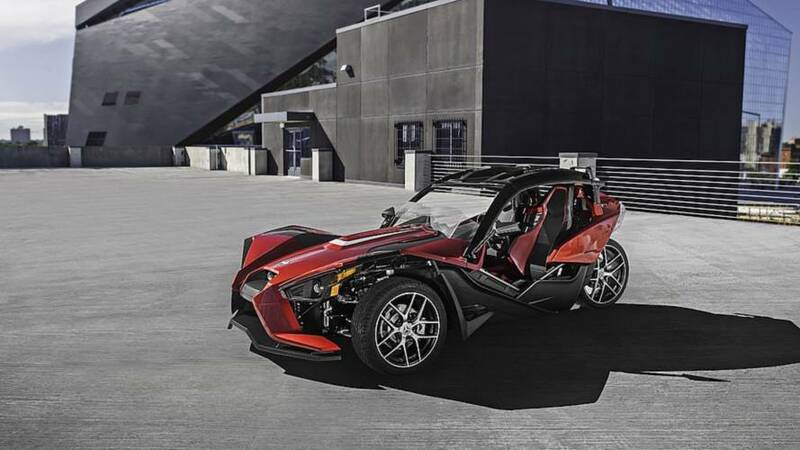 Polaris has issued a recall for the three-wheel Slingshot—a continuation of a recall issued in March 2018. Here are the details. The NHTSA has finally published all the details regarding this Polaris recall. Details on recall number 19V-185 are now available online. The manufacturer of the polarizing Slingshot has issued a recall on the three-wheeler in the United States: an estimated total of 3,305 units of the 2018 and 2019 model-years are targeted. This new recall is a continuation of the March 2018 recall number 18-195 for the same issue and includes vehicles built between February 24, 2018 and January 14, 2019. According to the company, the seats on the affected units could be problematic. In some cases, the base of the seat or of the seatbelt latch haven’t been welded properly which may cause the seatbelt to unlatch or the seat itself not to lock into position and slide on its rails. Either scenario obviously represents a safety concern, should the seat slide while driving or should the seatbelt come undone in case of a crash. Owners of affected units are invited to visit their Polaris dealer to have the seatbelt bracket and the seat latch inspected and replaced altogether should a flaw in either mechanism be found. Owners of the targeted model-years can contact the Polaris customer service at 1-800-765-2747 with recall number T-18-01 and their VIN close at hand. The manufacturer has confirmed that owners will be contacted by mail, but should you have any doubt, a phone call is all that’s needed to be sure.